As you may know, I'm taking a four-month sabbatical from March through June. Which means I'll be hitting the pause button on parish ministry six weeks from now. I'm excited about this upcoming time of spiritual renewal and thought I'd share a bit about what I'll be doing while I'm away -- especially since many of you will be subjected to the ensuing social media posts. Unless you're in a profession that routinely offers sabbaticals (and I wish every industry did), you may not know why clergy are offered the opportunity to take time away. Here in the Diocese of Massachusetts, our bishops recommend full-time clergy take sabbaticals every five years. They view them as "an opportunity for a time of sabbath [hence the word sabbatical], for a renewal of spirit and a reaffirmation of life with God." Being a priest requires full engagement with heart, mind, body, and soul and renewal is critical to effective and long-term ministry. At various points in his own ministry, even Jesus took time away for prayer and reflection. 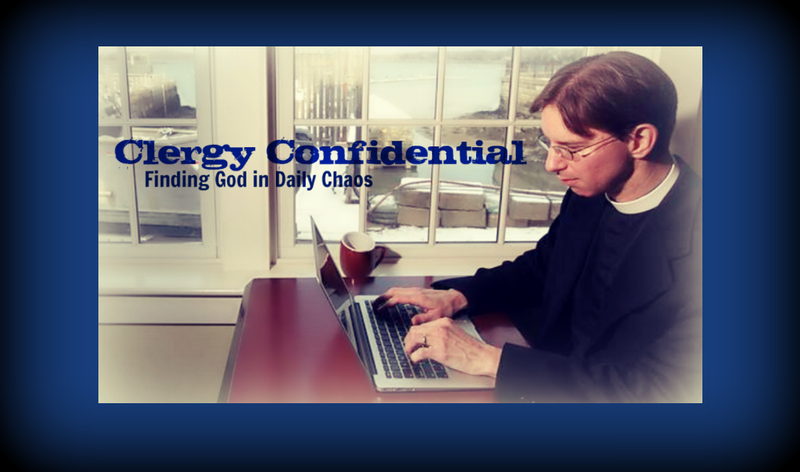 He returned with renewed energy and perspective and that is the hope for a clergy sabbatical. When did you last take one? It's been a decade since I last took one. I was rector of All Saints' Church in Briarcliff Manor, New York (20 miles up the Hudson from New York City) at the time. It was for two and a half months and I referred to it as my "sabbatical on training wheels." We had young kids at home and when people would ask, "Where are you going on sabbatical?" I'd answer, "Um, where exactly would I go? And who would tell Bryna I left?" 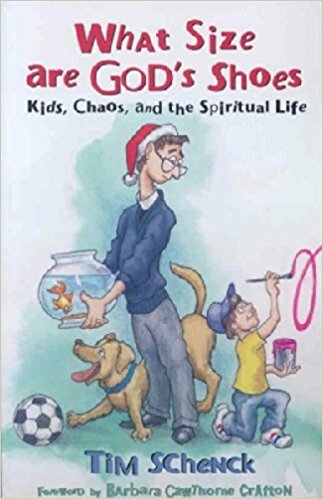 Basically I spent the time at Coffee Labs Roasters in Tarrytown, drinking coffee and writing my first book What Size Are God's Shoes: Kids, Chaos, and the Spiritual Life. It was helpful to have a short break and I think it's healthy for both priest and congregation to spend some time apart occasionally. Absence makes the heart grow fonder and all that. For my upcoming sabbatical, I applied for, and received, a coveted Lilly Clergy Renewal Grant to help fund some of my time away. In addition to the monetary award, the lengthy application process demanded that I give some serious, prayerful, and intentional thought to how I would structure my sabbatical. The question at the core of the application encourages applicants to ask the question, "What makes your heart sing?" Thus, in planning my time away, I focused on three of my passions: faith, family, and coffee. The first two were rather obvious. I will tie in the third through another passion of mine: writing. Maybe some people can spend several months navel gazing or star gazing, but I need a project to focus on. So I'll be writing a book on the intersection of faith and coffee titled, naturally, Holy Grounds. This project, a mixture of coffee history (it was discovered by 9th century Ethiopian Muslims and used to fuel their night prayers!) and personal narrative, will be published by Fortress Press in early 2019.
season, spending time soaking in coffee culture in Seattle (and catching up with a childhood friend whose lived there for 25 years), and visiting an Orthodox monastery in Pennsylvania where the monks roast and sell their own coffee under the name Burning Bush Coffee. I'm particularly excited to visit a coffee farm for the first time -- it feels very much like planning a pilgrimage to a sacred site. My guide will be Mike Love, the owner of Coffee Labs (see above) who's a pretty big deal himself in the coffee industry. 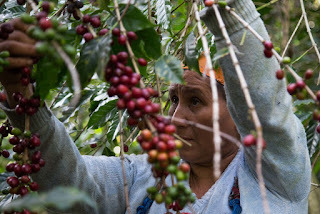 I reached out to Mike and his wife (and business parter) Alicia asking if they knew of any farms I could visit and they invited me to tag along with Mike on one of his regular visits to Central America. I'm still amazed this will actually happen! The family portion is important to me as this often gets sacrificed in parish ministry. I will be spending some time with both my boys individually (including a trip to Florida for Spring Training with Ben and a jaunt to Chicago to attend a gaming convention with Zak), with just Bryna, and then we will be taking a 10-day family trip to Europe in June. We'll be going to Rome (touring religious and historical sites) and Amsterdam (pursuing Schenck family history) and soaking in European coffee culture. For all of these mini-trips, I will be spending the majority of my time in Hingham writing, reflecting, playing, praying, and (obviously) drinking coffee. 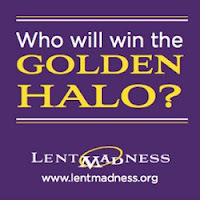 Oh, relax, Lent Madness fans. 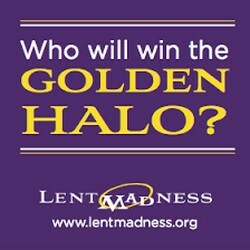 There is no such thing as a sabbatical from Lent Madness -- the penitential show must go on. With Easter falling on April 1, my sabbatical will overlap with the season of Lent for about a month. It may be challenging to run the world's most popular online Lenten devotion while slogging around the mountains of El Salvador but we'll figure it out. So that's the deal. I'm excited about this and immensely grateful to everyone who has and will help make this sabbatical happen. This is a unique opportunity and I'm still, frankly, stunned that this is actually happening. And while it will be hard to be away from people I love, I will look forward to returning with renewed passion for ministry at St. John's and a rekindled and caffeinated relationship with our Lord. Just dump Lent Madness on Scott for March. He can handle it. An archnemisis should do no less. It sounds exciting and just, plain WONDERFUL. I hope we’ll be with you on some of your adventures. So super-charged (read: caffeinated) happy for you. Totally perfect sabbatical plans and congrats on moolah from Uncle Eli and Aunt Lilly.